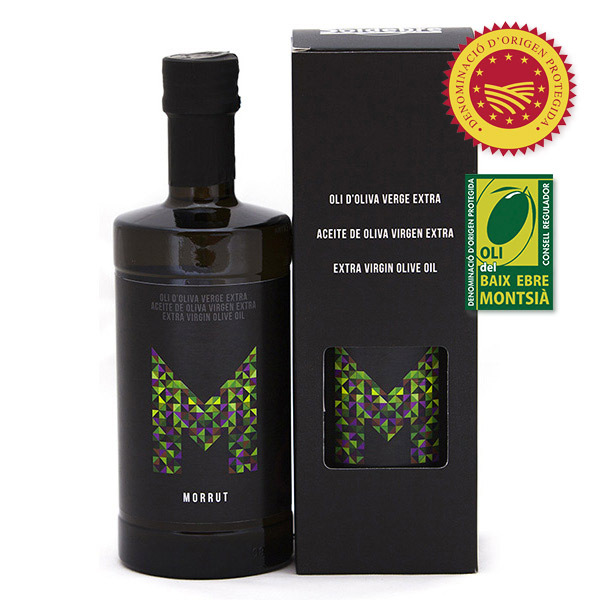 Here you can purchase 250 ml 100% Morrut Aureum extra virgin olive oil. One of the OliSoldebre most exclusive products. It is placed in a small carton with a glass bottle. It has been designed for gift giving and also for its daily use in the kitchen. We have a full-time care and a strict control during the 250 ml 100% Morrut Aureum extra virgin olive oil production process: from the olive-growing and the collection of it to its arrival and the elaboration process of the olive oil. Thus, we get a final product with excellent organoleptic conditions.